9dBi Antennas made for any RP-SMA router, not just the models included in the title. This item includes 9dBi antennas, great for repeaters, access points, and long range. 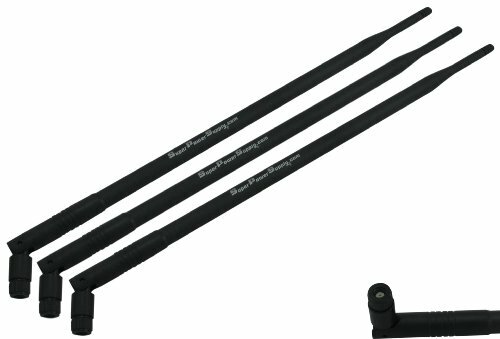 These provide 2 to 4 times the gain of stock antennas. They are 15 inches in length. These antennas have RP SMA connectors and are compatible with many models including Buffalo WHR series routers, Cisco and Linksys WRT160NL, and E series, Proxim, US Robotics, Wi-LAN, and Tranzeo brand routers. Any router that has RP SMA connectors works! Also works with all USB and PCI WiFi adapters with RP SMA connectors.